A few years ago, Nadia Lugo went door-to-door in Hartford’s North End with a list of names and a mission: Find people who were going to the emergency room frequently. Figure out what was keeping them from staying healthy or getting the right kind of care. And try to help. There was a young woman with a newborn whose stomach problems had repeatedly landed her in the emergency room. She didn’t have a primary care doctor – or a stable place to live. The building where she’d been renting an apartment was in foreclosure, so she moved to a new place. But as Lugo learned when she visited, it didn’t have running water, or even pipes. “She said, ‘I don’t have any place to go,’” Lugo said. Ultimately, Lugo helped her get into a safer apartment, find a primary care provider, and apply for financial aid to go to college. She eventually got a job at a day care. Another patient Lugo worked with had been to the emergency room 125 times in one year. She helped him address several barriers to getting care outside the ER, including calling a medical cab to take him to his appointments. In the next nine months, he went to the ER 12 times. Among the other 11 patients she worked with, emergency room visits dropped by 57 percent in the following nine months. 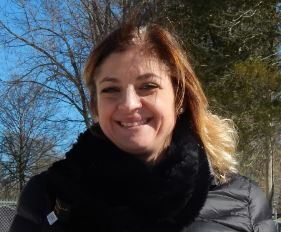 Lugo was working as a community health worker, a role many people involved in health care in Connecticut see as a key way to improve care for high-need patients. The job involves bridging the medical and social service systems and the many other factors in people’s lives that can have as much or more impact on their health than medical care – things like housing, transportation and food. “Frankly, we know very clearly that most of what affects health care is not what happens in the provider office. It’s what happens outside the provider office,” said Victoria Veltri, chief health policy advisor to Lt. Gov. Nancy Wyman, who is playing a key role in state-level health reform efforts. But if Lugo’s experience showed the potential of the role, it also underscored some of the challenges. She’s not from the Northeast Hartford neighborhood where she was working. “It took me about three months to get people to open the door,” she said. The reception to her changed dramatically when she began working with two people from the neighborhood. And Lugo’s work was grant-funded, the result of a collaboration between St. Francis Hospital and Medical Center, the Cigna Foundation, and the nonprofit Community Solutions, where Lugo works. That kind of funding is common among programs that use community health workers: They rely on grant money or other temporary sources, and when those funds dry up, the community health workers’ jobs do too. There are now efforts to change that – to come up with a more sustainable way to fund community health workers, and to better incorporate the role into health care. Lugo’s organization, Community Solutions, is about to start piloting a new community health worker model, in which certified nursing assistants who provide home health care receive additional training in topics such as connecting people to resources and identifying non-medical factors that could influence their health. A state-level health reform effort, the state innovation model, is looking at ways to better incorporate community health workers into primary care practices, and a group dedicated to workforce issues has recommended that community health workers be certified. “We thought from the beginning, as a steering committee, that the role of a community health worker was absolutely critical for transforming primary care, as being an essential part of the primary care team, but also for addressing things that just cannot be addressed in a visit necessarily,” Veltri said. Separately, a legislative proposal passed by the Public Health Committee earlier this month calls for defining what a community health worker is – the first step toward recognizing their role in health care, said committee Co-Chair Sen. Terry Gerratana, D-New Britain. Some proponents hope it will be amended to incorporate certification. The bill drew concerns from some legislators. Rep. Prasad Srinivasan, R-Glastonbury, the top House Republican on the committee and a physician, said community health workers are needed, but said he wants to see more oversight and quality standards in the proposal. Srinivasan, who voted against the bill in committee, added that certification requirements would help to address those concerns. Those pushing for wider recognition of community health workers see a lot of potential – the opportunity to create jobs as well as better address the kinds of gaps that can stymie people’s health. 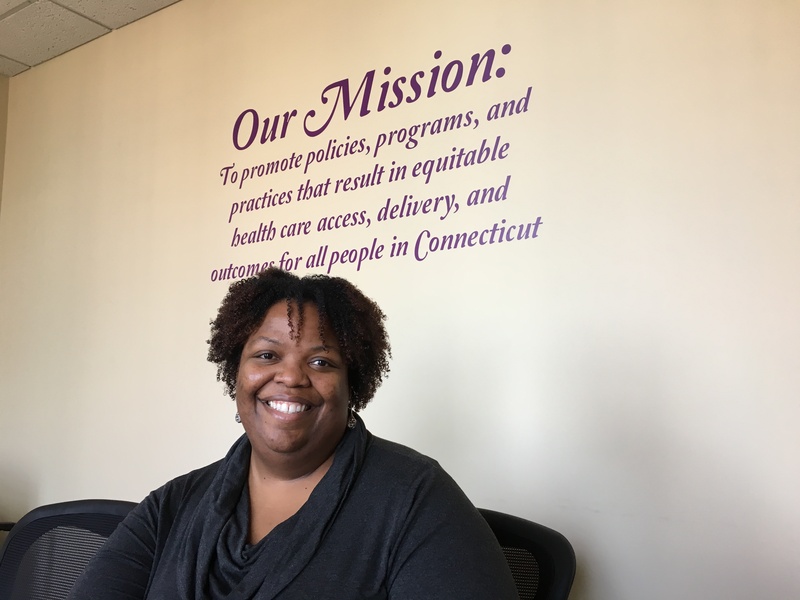 “This is a workforce development opportunity, and it’s also a health equity opportunity for people who are having poor outcomes,” said Tekisha Everette, executive director of Health Equity Solutions, a Hartford-based organization. But there are also challenges. Some community health workers say medical providers don’t always see their value, especially if they don’t have a degree. And those who embrace the concept often don’t have a way to pay them. There’s also the challenge of balancing the goals of professionalizing the workforce – something viewed as key to being able to be reimbursed as part of a care team – while not shutting out those who already do the work, and might not have a degree but bring years of experience. Some note that it’s important to be careful to identify the situations when using community health workers would – and wouldn’t – make sense, rather than taking too broad of an approach or viewing the role as a solution to nearly every problem in health care. Even the idea of certifying community health workers could be a challenge given the state’s budget woes. The state Department of Public Health has said it doesn’t have the resources to provide regulatory oversight of the profession. And while some proponents see a natural role for community health workers in a health care system that rewards providers based on patient outcomes, that’s not how the system currently works. Instead, the system pays a fee for each service provided. And providers across the board are under pressure to contain costs. Just what is a community health worker? If you’ve never heard of a community health worker, you might know of someone doing the work with a different title. There are health educators who help patients learn to manage chronic conditions such as diabetes. There are community health workers who work with low-income women while they’re pregnant and after the baby is born, ensuring they get prenatal care and support the baby’s development. Some visit the homes of children with severe asthma to help identify issues that could exacerbate their conditions and teach their parents how to avoid problems. There’s a long tradition in Hispanic communities, particularly in the Southwest, of “promotoras,” people trained to deliver health education and outreach in their communities. Connecticut’s Medicaid program uses community health workers to help address non-medical needs of high-need clients who receive intensive case management, and peer specialists who draw from their own experiences in working with clients with behavioral health issues. They’re employed by the organizations that administer the Medicaid medical and behavioral health benefits. The Cigna Foundation has funded programs that use people already trusted in an area to serve as community health workers, such as church leaders or barbers, some of whom have been trained to educate customers about cancer risks and screenings. When running a community health program, one approach might be to find people who are struggling most and speed help to them, said David Figliuzzi, the Cigna Foundation’s executive director. Trust is a key factor, he added. Project Access of New Haven – which coordinates free specialty care for uninsured patients who need surgery, diagnostic testing or treatment for conditions such as cancer – calls its community health workers “patient navigators.” And Executive Director Darcey Cobbs-Lomax is clear about their importance. “Without patient navigators, getting patients access to medical care doesn’t happen,” she said. The navigators meet with patients who are referred to the program, learning about their medical needs and other factors, such as whether they have safe housing, enough food, or the ability to read. Doctors give out a lot of pamphlets, so it makes a big difference if they know a patient can’t read them, Cobbs-Lomax noted. “The patients will share many things with us that they may not share with their provider that really helps inform why this patient may or may not be compliant with their care plan,” she said. Milagrosa Seguinot likes to say she was “born being a community health worker.” She spent years volunteering in Bridgeport before she was hired as an outreach worker to promote childhood vaccination; by then, she knew many people and local resources. In some ways, she said, she was getting paid for what she’d already been doing. Seguinot now serves as the community health worker project coordinator at the Southwestern Area Health Education Center. She trains other community health workers, and is president of the Community Health Workers Association of Connecticut. She sees a key part of the work as dealing with a person holistically. While an emergency room or clinic might treat a patient for a specific problem, her job is to take a broader view. It also means more hands-on assistance to address whatever barriers the person faces. Lugo, the community health worker who looked for frequent ER visitors in Hartford, sees forming a relationship as the key to the role. When she found a patient, she’d often begin by having a chat about their goals. “A lot of people said, ‘Well, no one’s ever really asked me that,’” she said. Having a relationship made it easier to talk about managing their medical conditions, she said. She would also gain insights into why they weren’t staying healthy. Some weren’t taking their medication but would tell their doctors they were, or wouldn’t tell the doctor about other problems. Some didn’t have transportation to their medical appointments. One man’s doctor couldn’t figure out why his asthma wasn’t improving; it turned out he was drinking his asthma medication, rather than inhaling it, because the instructions were translated incorrectly – something discovered when a community health worker watched him take the medication at home. In some cases, she learned from visiting people at home that there were more pressing needs than health care: bedbugs, no electricity, or mold. “If they don’t have electricity, they’re not focusing on their health,” she said. And Lugo said learning what was happening in a person’s life outside the doctor’s office was often eye-opening to health care providers. One man’s doctor couldn’t figure out why his asthma wasn’t improving; it turned out he was drinking his asthma medication, rather than inhaling it, because the instructions were translated incorrectly – something discovered when a community health worker watched him take the medication at home. In some cases, it’s not that there’s a lack of services available to people, said Gina Federico Muslim, director at Community Solutions in Hartford. Instead, they’re not coordinated, or not appropriately prioritized. “Financial aid services for school is not helpful if the person doesn’t have a place to live,” she said. A community health worker can be much cheaper than calling 911 and going to the emergency room, Federico Muslim said. So the questions going forward are how to use the services in ways that are financially sustainable, and what are the right groups of patients to focus on? Dr. Bruce Gould sees a patient at a free clinic in 2010. Gould spent nearly three decades seeing patients in Hartford’s Burgdorf clinic, where many were uninsured or covered by Medicaid. There were times when he knew a house call would give him the insight he needed to really understand the factors affecting a person’s health. “Sometimes it’s worth me going out, but most of the time, it’s too expensive,” he said. Even if he had the time, a system that pays based on the number of patients you see in a day doesn’t allow for spending a few hours visiting them at home. Gould sees an opening for community health workers in a changing health care system. In recent years, there’s been a major push to shift health care from a fee-for-service system to one that ties payment to outcomes and overall cost. And that gives doctors financial incentives to look at all the factors that serve as barriers to patients following through with what the doctor recommended. That’s not to say every patient would have a community health worker, he added. A patient with well-controlled diabetes, for example, probably wouldn’t need the extra assistance. And there should be criteria, based on research, for how to decide which patients should be assigned a community health worker, he said. “If you look at the literature, the community health workers can be incredibly effective at achieving better results, outcomes, in very challenging populations of patients, and the return on investment often is relatively high,” he said. But that shift in how health care is delivered and financed is still in the early stages. It’s also been controversial in Connecticut, particularly when it comes to Medicaid, and Gould said some older doctors are contemplating retiring rather than having to undergo such a large change. Officials at the state Department of Social Services, the state’s Medicaid agency, say they support the idea of having community health workers involved in care delivery. But they say their views on how to pay for it have changed. After looking into reimbursing community health workers through the state’s Medicaid plan, they shifted their thinking toward having them incorporated into “value-based payment approaches,” such as models in which primary care providers receive additional payments to use toward care coordination and other services that could improve outcomes. That money could be used to pay community health workers, if the providers choose. “As the system is transforming to a value-based payment system, I believe that there will be more motivation for the mainstream health system to hire community health workers to help them get better outcomes in their most challenging patients, and that’s the bottom line,” Gould said.